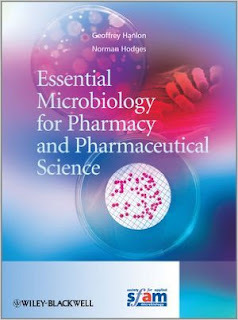 2013 | ISBN-10: 0470665327, 0470665343 | 234 Pages | PDF | 7 MB This text is an essential study guide for undergraduates studying microbiology modules on degree courses in pharmacy and the pharmaceutical sciences. Written by two pharmacists each with over 30 years experience of teaching, research and publishing in pharmaceutical microbiology, it distills the subject down into the essential elements that pharmacists and pharmaceutical scientists need to know in order to practice their profession, and it covers all the microbiology components of the Royal Pharmaceutical Society's indicative syllabus that is at the heart of every UK pharmacy degree. Much of the applied microbiology that a pharmacist or pharmaceutical scientist needs to know is unique: topics like the manufacture of microbiologically sterile medicines and their subsequent protection against microbial contamination and spoilage, the detection of hazardous microorganisms in medicines and antibiotics' manufacture and assay are all covered here. Essential Microbiology for Pharmacy and Pharmaceutical Science Students displays material in an easy to-digest format and concepts are explained using diagrams, tables and pictures wherever possible. The book contains an extensive self-assessment section that includes typical multiple choice, short answer and essay-style examination questions, and a companion website to further test your knowledge from a selection of questions along with further links to relevant sites.